Are you ready for the fictional robotic fight by controlling your mind-blowing futuristic battle robot that can transform into fanatic robotic horse as well as in armored robot car? If you are ready, so why you are waiting for? The grand city is under control of the vigilant war machines that are destroying the grand city, all the army forces are fails to fight with the robotic war machines. Only the robotic machines can fight with those brutal robots and evil gangsters. Robot Horse Robotic Car Transform Game especially designed for the virtual robot games, virtual robotic horse game, robot car games, robotic horse transform game, and car robots games lovers. 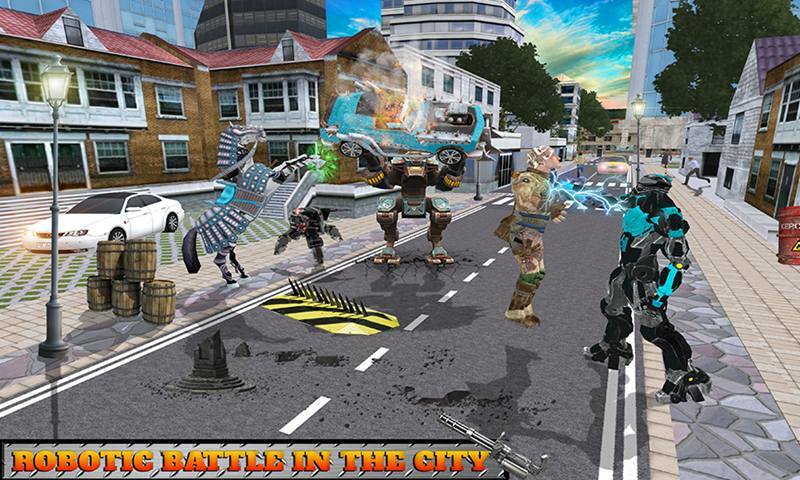 Enjoy the most demanding Robot Horse Robotic Car Transform Game where the mech robot machines are demolishing the beautiful city and the people of the city have to move towards the safe places. The outrage people of the vice city really need a miracle, you have to fight for their freedom. Amazing sounds effects and intuitive game play made this game to the best virtual robot game. 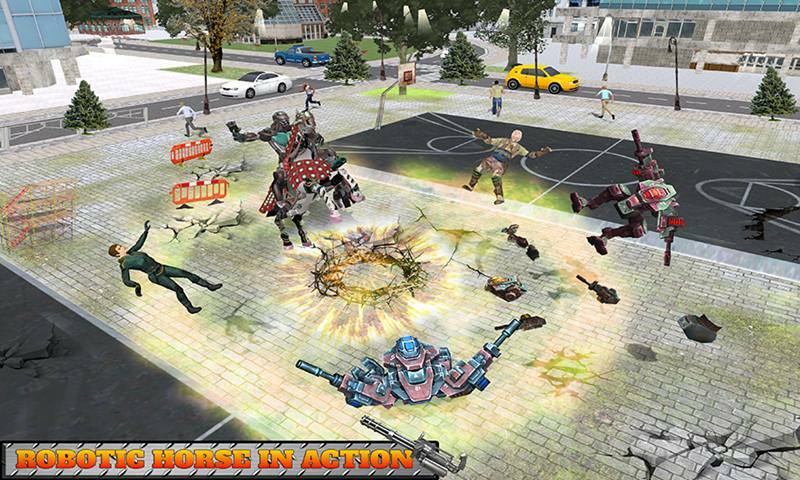 Robot Horse Robotic Car Transform Game is multi transform game that contains the impossible and sensational battle with the mech machines as well as with the agent mafia. Choose your favorite virtual flying robot that can transform into robot horse as well as in nimble armored robot car to fight with that battle machines and gangsters. Playing as a futuristic robot, you can fly in the air like the superhero to watch the dangerous activities of the vicious gangsters. You can attack on the opponent fighter with ice fire, backflip kick and with amazing martial art combos. Moreover, you can transform into robotic arsenal horse as well as the battle robotic car. Each player having their own attacks, robotic horse can smash the rivals with amazing attacks like, fire with his built in gun as well as with their powerful bite attack. When you transform into robotic car you can fall down your enemies by fully loaded gun and by ruining them. The game play is not over yet, you are going to mess with mech machines that can destroy you with his double arms guns fire. The blindsided attack by the street automate guns automatically fires upon you when you reaches to their range. Beware from the deadliest gangsters they can hit you very hard with their strange fighting skills. 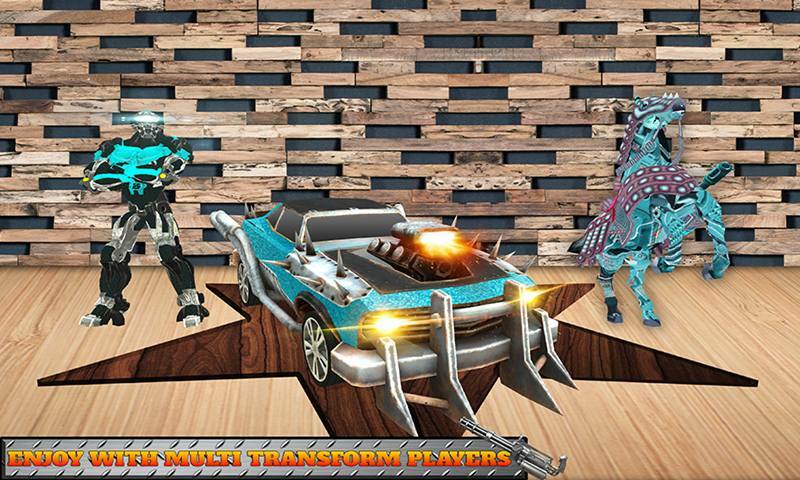 Gradually gameplay changes and the powers of robot, hit more gangsters and the mech machines to get more score in this Robot Horse Robotic Car Transform Game so that you can easily unlock the other interesting robotic transform players. • Futuristic flying robot to play with. • Transform into robotic horse and armored car. • Horrible mech machines and deadly gangsters. 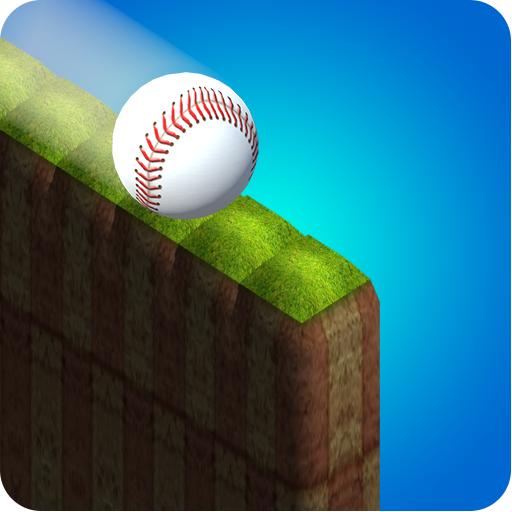 • Each player having own fighting powers and skills. • 3D realistic city environment. • RPG and intuitive gameplay. 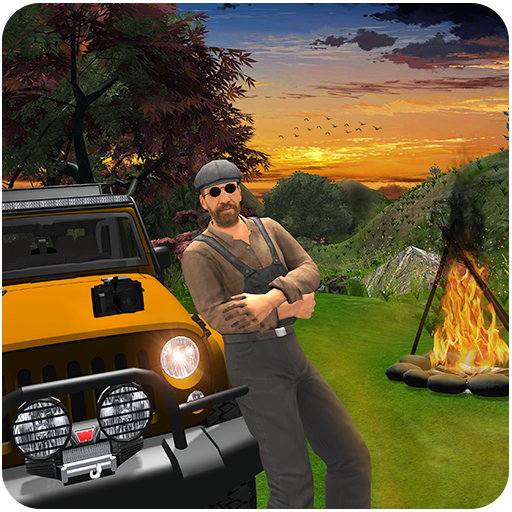 • Challenging and impossible missions. 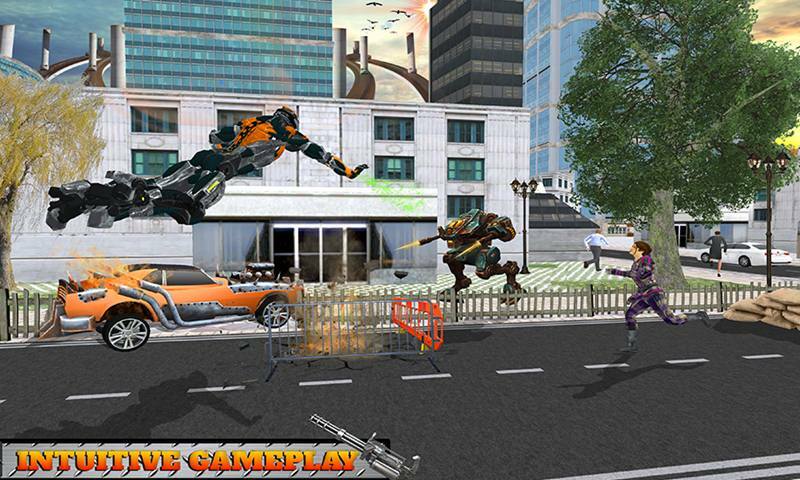 Get ready for real thrill and science fiction gameplay in Robot Horse Robotic Car Transform Game, save the people of the grand city. 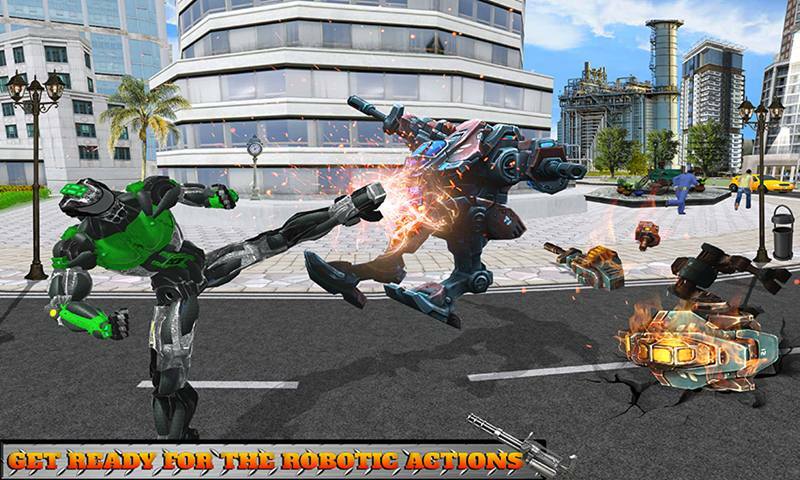 Multi transform players to play with, show your outclass fighting skills against the robotic enemies and gangster. 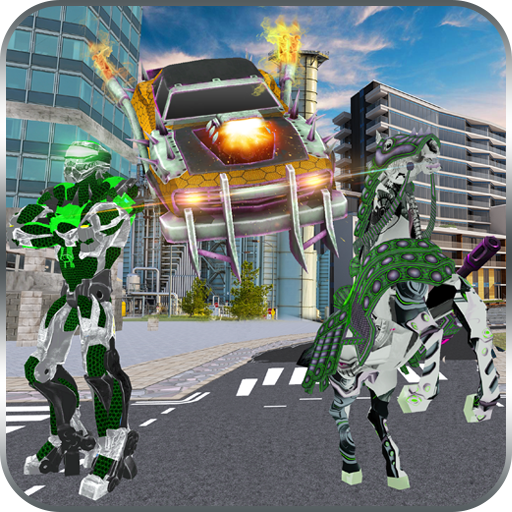 Just grab the Robot Horse Robotic Car Transform Game and made blast in the gaming world of futuristic robotic battle.